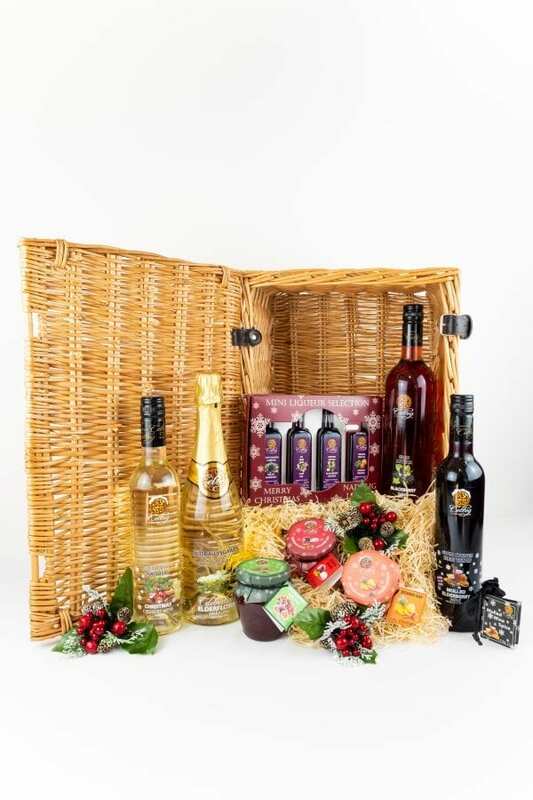 The perfect Christmas gift selection in a very attractive hamper – ideal for anyone who loves delicious handmade Welsh food and drink! 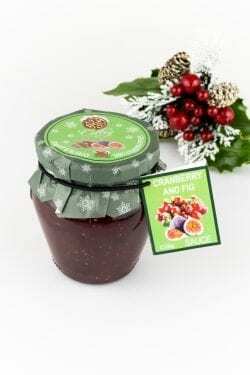 Includes a wide range of Celteg fruit wines and liqueurs: 1x Blackberry Wine (75cl), 1x Mulled Elderberry Wine (50cl), 1x Christmas Dessert Wine (50cl), 1x Celebration Sparkling Elderflower Wine (75cl) and 1x Christmas gift selection of award-winning liqueurs. 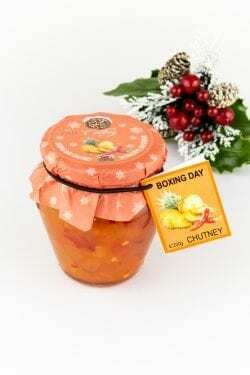 These are accompanied by 3x jars of our signature Christmas chutneys and sauces (Boxing Day Chutney, Cheese Board Chutney and Cranberry & Fig Sauce). 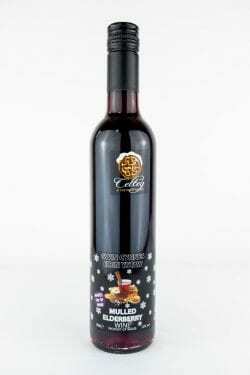 All products handcrafted in Wales by Celtic Country Wines.